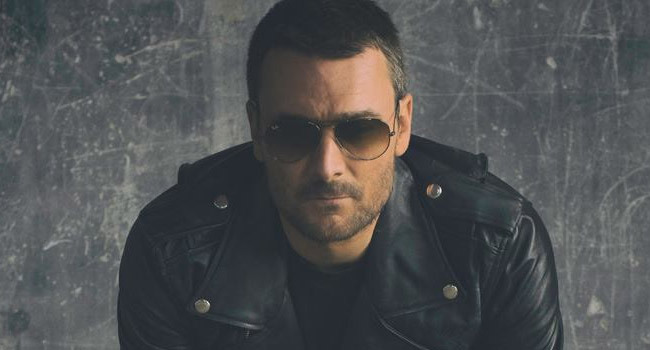 Bucking convention hasn’t always been the popular path, but for Eric Church there is no question about where he prioritizes his relationship with his fans. He showed this when he sent his 2015 album, Mr. Misunderstood, to members of his fan club, dubbed the Church Choir, before surprise announcing it at the 2015 CMA Awards and putting it on sale to the public. It is a model that, although untraditional, has developed a steadfast audience of devoted Choir members earning RIAA Platinum certification for Mr. Misunderstood, allowing the fourth single from the album, “Round Here Buzz” to reach No. 1 on the Country Airplay Charts and making way for Church to perform at the 2018 GRAMMY Awards. The 2016 CMA Album of the Year’s Platinum certification for sales in excess of one million units directly shows fans’ connection to the distinct story line of the album that started with the lead single and title-track, “Mr. Misunderstood.” The video of the single features a real teenager, Mickey Smay, who is a musically inclined 14-year-old from Rochester, NY to carry the album’s theme. Fans then followed along as Church released RIAA Platinum-certified and GRAMMY-nominated No. 1 song “Record Year,” the song AXS called “one of the most important singles” Church has put out, “Kill A Word,” and current single “Round Here Buzz” that also features Smay in its video. The singer continues the momentum as he announces he will perform at the 2018 GRAMMY Awards along with fellow 2017 Route 91 Festival performers Maren Morris and Brothers Osbourne to honor the victims of the acts of violence from 2017. Announced last year, Church’s 100+ song collection of live recordings from his 60+ city Holdin’ My Own Tour of 2017, titled 61 Days In Church has been releasing in batches exclusively with Apple Music for two weeks before releasing on all streaming platforms. The full collection will also be released as a vinyl box set, including a road case, tour book and poster, shipped in increments every month of 2018. The Holdin’ My Own Tour featured three hours of music each night, sans-opener was named Tour of the Year. The fans connect with Church’s artistic independence and reciprocal loyalty. He cancelled 33,000 tickets destined for sale by scalpers. He went so far as to commission his own technology to vet suspicious online purchases to protect his fans and their hard-earned cash.